Kajioka and Associates, Attorneys at Law proudly defends those involved in Criminal Defense cases in Las Vegas, Nevada, including DUI charges. If you have been charged with a DUI in the State of Nevada, you risk losing your license and going to jail as well as having to pay expensive fines and higher insurance rate. If you were charged in the city of Las Vegas, there may also be additional penalties. 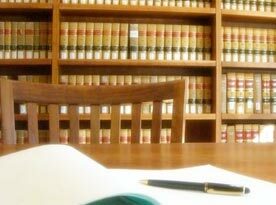 Fortunately, with the aid of an accredited attorney such as Kajioka and Associates, Attorneys at Law by your side during the DUI process; offenders and victims are well advised during their consultation. We have the experience, knowledge and determination to fight for you and protect your rights, no matter the charges you are facing. 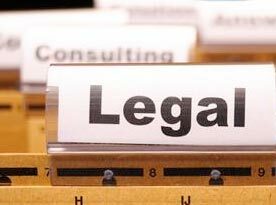 Kajioka and Associates, Attorneys at Law include marijuana criminal defense cases for our clients in Las Vegas, Nevada. The best protection you have is the assistance of an experienced criminal defense attorney if you are faced with a marijuana-related charge. When it comes to marijuana charges, the sooner you contact Kajioka and Associates, Attorneys at Law, the sooner we can begin your defense. The consequences of marijuana related convictions can be severe and often extend beyond legal penalties by imposing restrictions on other areas of your life. We will find the defense strategies best suited to aggressively fight the criminal charges. Kajioka and Associates, Attorneys at Law of Las Vegas, Nevada practices criminal law including defending those involved with nightclub, pool party or dayclub criminal charges. Nightclubs, dayclubs and pools are a popular venue for locals and travelers to spend their time looking for good times. Unfortunately, these places also attract criminal activity in which arrests are made, whether you are party of the crimes or not. 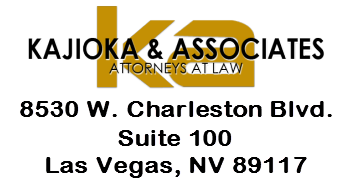 If you are arrested in Las Vegas, contact Kajioka and Associates, Attorneys at Law without delay! 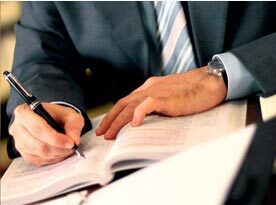 Kajioka and Associates, Attorneys at Law, offers defendants a number of criminal defense representation including those facing charges surrounding possession of a controlled substance in Las Vegas, Nevada. Long jail time, expensive fines, and negative reports on your record are the consequences associated with convicted drug charges. Kajioka and Associates, Attorneys at Law, are among the leading experts of Criminal Law in Las Vegas, Nevada and have years of experience when it comes to defending those charged with drug trafficking. In Nevada, drug trafficking is defined as the manufacturing, delivery, sale and/or importation of illegal drugs over state or national borders and throughout the state. Nevada is known for implementing heavy penalties for drug trafficking convictions, but federal convicted charges are even more serious and harsher. With that in mind, if you are facing drug trafficking chargers in Nevada, whether you are a local or from out of town, you need Kajioka and Associates, Attorneys at Law on your side. Kajioka and Associates, Attorneys at Law Criminal Defense practice includes defending those charged with possession with intent to distribute. Convictions in Nevada of possession with intent to distribute come with lengthy prison sentences, heavy fines, felony criminal record, and other repercussions. In many cases, law enforcement will add this charge to drug possession charges if they can find anything to support the claims by taking into evidence any drug paraphernalia, large quantities of controlled substance, defendant statements, large amounts of cash and affiliated items such as baggies, scales, and other such devices. 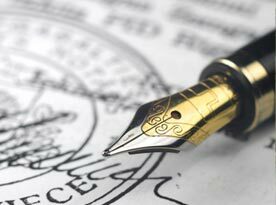 Contact us for professional representation.